McPherson Law Offices is a prominent law firm in Northwest Illinois with a strong belief in giving back to the community. Because of their strong belief in giving back to the community, they sponsor Good Day Illinois in order to provide information about local events and happenings in Northwest Illinois. 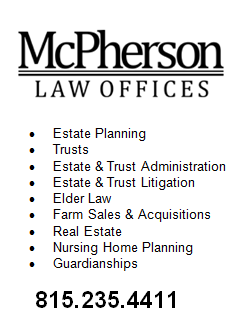 Visit McPherson Law Offices’ website.